You can use this page to calculate your perfect wedding package... have fun! A choice of wedding albums are available if required? 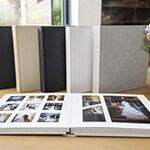 We offer a wide range of quality wedding albums from the leading manufacturers, including Jorgensen and Loxley Colour. Your wedding album can tailored to your preference. The covers can be wrapped with your chosen colour and fabric. Cover photos can be added along with personalisation to include your names and wedding date. You can view some example page designs in our product gallery. The Artbook Album - a 10x10 inch album, storybook style, featuring 100 photographs, full spread design and custom cover. 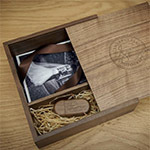 The Album Box Set - includes a storybook style album and a USB for your images. Personalised and presented in a matching album box. Available in 8,10 and 12 inch sizes and hosts up to 120 photos. 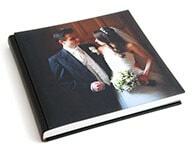 The Perfetto Album - a 12x12 inch album, storybook style, featuring 100 photographs, full spread design and custom cover. The modern traditional wedding album! The Classic Contemporary album features 75 photographs presented in an elegant matted style album. Choice of colours and covering material available. Additional content options available. 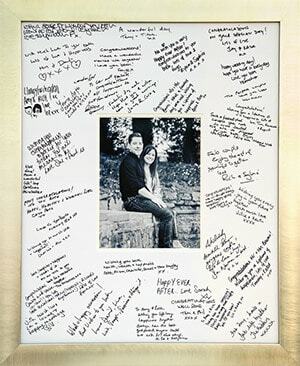 The Jorgensen Art album is a traditional style matted wedding album! The album features 75 photographs presented in an elegant matted style album. Choice of colours, covering material and photo covers are available. Additional content and cover options available. If you require more than 7 hours coverage, this is considered ALL-DAY coverage and is charged at a fixed rate. Photos are supplied at a high 16MP image size. A FREE presentation box and USB is included with all-day coverage. A FREE Pre-Wedding Shoot is available to all packages which include all-day coverage. There's few extras you may wish to consider? 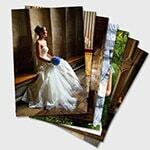 Professionally developed 12x8 inch prints. These can also be supplied at 10x8 inch if required.You can add multiple enlargements by using the slider above the image (once selected). Your selection of (40) 9x6 inch professionally developed prints (Heavy discounted compared to single prices). A selection of 100 photos beautifully presented with your chosen music. You can watch some example slideshows on our website. Introducing the USB Print Box! Times are changing and discs are slowly being replaced by USB drives! As a small addition to your wedding package, you can choose to have your wedding day photos supplied on a USB drive as well. 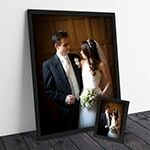 Signing frames are available at various sizes and has options for choice of frame colours and moulding. You can view more details on the Signing Frame page. 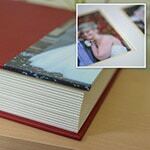 There's many options available for parent album including the size, capacity and duplicate mini copies. This is a guide price. Prices will vary between all options. I offer a 15% discount for off-peak wedding dates. Qualifying months are November through to March and mid-week dates, Monday to Thursday (excludes bank holidays). If your wedding date is within the current and following month, a 20% discount is available. This is a ONE-TIME email. Your email address will NOT be used for any other purpose. This is an estimated price based on your selections. Some options may vary in price depending on the final choices. If you would like this quotation emailed for future reference, please enter your email address in the box above and select below. Your email address will not be used for any other purpose. You can view the main wedding packages here. These may include additional extra without charge.